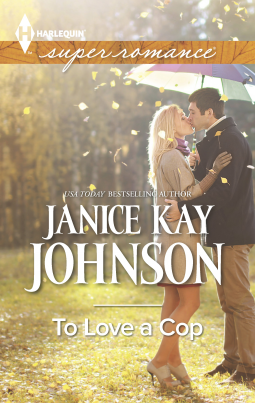 Miss Bates almost DNF-ed Janice Kay Johnson’s To Love A Cop (cheesy cover and title should be ignored; this is thoughtful romance). It opens at a gun show, as cop hero, Ethan Winter, admires a gun; to give Johnson credit, he’s there to look out for potentially dangerous gun buyers. He spots a boy, one who seems fascinated by what’s on show. Ethan chats with him, realizes he’s younger than he appears and has skipped school. Ethan takes the boy, Jake, home to his single-mom, Laura Vennetti, to realize yet again that, five years ago, Jake was the boy who shot and killed his cousin when his father, Officer Matt Vennetti, left his service weapon carelessly lying on the kitchen counter. Not long after, with an extended family in shambles and ravaged by guilt, Matt committed suicide.